If you have a negative attitude towards most of the cleaning companies, the following information is about to change that fact. We introduce you Perfect Tenancy Cleaning that has long worked in the cleaning industry and that deals with all sort of cleaning problems for your home and office. We are confident enough to say that we can handle with a diversity of cleaning procedures without any difficulty. Our aim is to please our customers in every possible way and to implement all of the desired cleaning procedures. To manage with all these things we rely on a team of professional cleaners that are prepared to perform all of them whenever you called them. They are friendly, hard working and trustworthy and have all the qualifications that are needed for this job. They have passed preliminary training courses and they speak fluent English, which means that you can establish perfect communication with them. Whenever you feel helpless with all the household cleaning duties we will be at your disposal and ready to help you. Perfect Tenancy Cleaning is currently offering: end of tenancy cleaning, deep cleaning, one off cleaning, domestic cleaning and upholstery cleaning. We promise that you won’t feel disappointed because we pay attention to every tiny detail. We will offer you a full sanitizing of the rooms according to all the standards and regulations because we think that hygiene is essential for the living environment of every person. As for the cleaning products, you do not need to buy them on your own. We will come with the appropriate equipment, carefully chosen and suitable for removing of all kinds of stains and dirt. 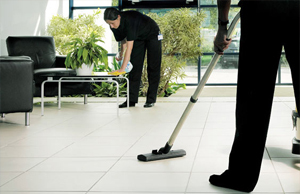 Sparkling clean and shiny premises would no longer be just a miracle for you. However this will happen only if you decide to choose this outstanding cleaning company. Do not waste any time and take advantage of the exclusive and second to none offers that we have prepared for you. It will be a pleasure for us to collaborate in the best way with the customers. Perfect Tenancy Cleaning © 2019. All rights reserved.